In this article, you will learn how to create a section that expand it full-width. 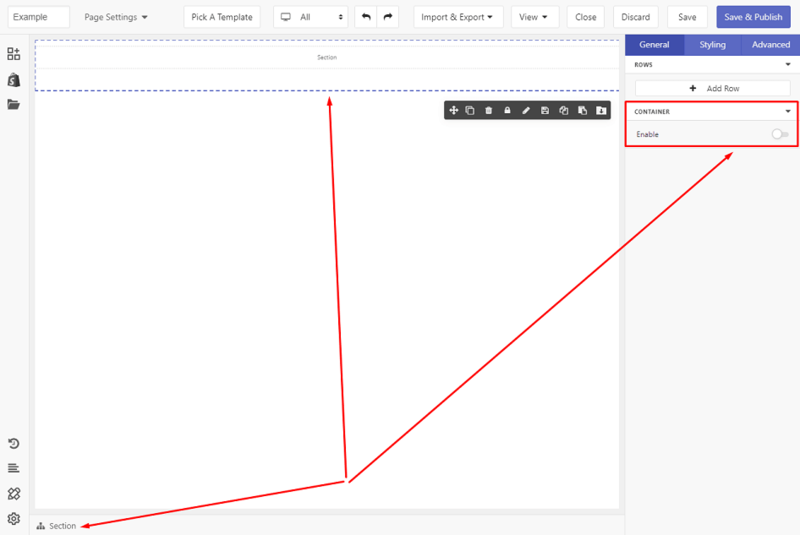 Inside PageFly editor, choose Add Element > Element > Layout and drag the Full Section to the page. 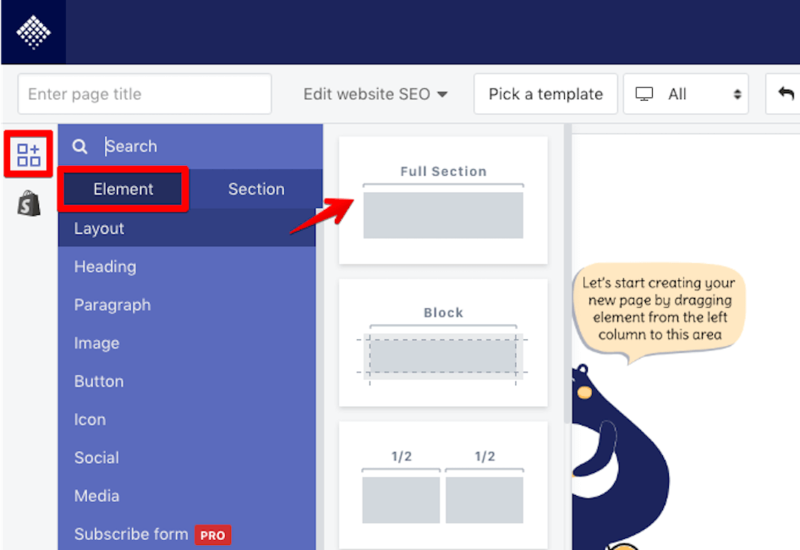 Select the newly created Section that you just dragged into the canvas (the Breadcrumbs trail at the bottom of the screen will show you exactly what element you are currently selected). In the General tab, disable the Container option. Upload the image background by clicking on the image icon in Image variable. Change the Size to “Cover”. In the Styling tab, under Box Styles section. 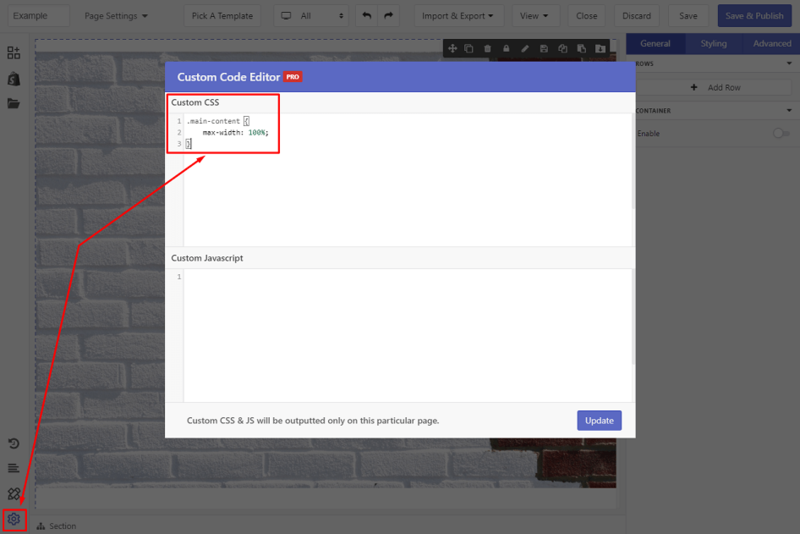 Edit the top-padding and bottom-padding value to change the height of the section to fit your image’s height. Use percentage (%) to keep it responsive. The chain icon in the middle will set the same value for all four sides of Padding and Margin. Do not forget to Save & Publish your work. That’s it! You have completed all the steps to make a fabulous full-width section for your Desktop/Laptop page. Easy, right? Finally, check the result on Live Page. To double-check, you can review the page on mobile by choosing the Device Switcher > Mobile option on the top menu. In this example, we can see, with the previously assigned bottom-padding value of 500px, the image background is stretched out and it does not look good on mobile. Finally, hit Save & Publish and check the page on your mobile for the result.